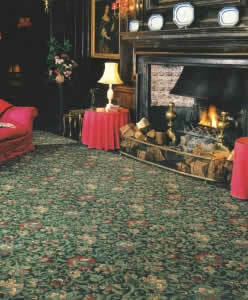 One of very few carpet manufacturers who can claim ‘from fleece to floor’, Axminster Carpets make woven Axminsters and Wiltons as well as highest quality tufted carpets, all famous for comfort and long lasting durability, recommended by generations. If that makes you associate Axminsters with the past, however, think again. Real Axminster TM carpets range from stunning plains in everything from neutrals to high fashion colours, to fabulous textures and contemporary patterns, to the splendour of those newly modish antique style carpets in the grand French and Persian traditions. Axminster Carpets is also the only manufacturer to spin its own yarn and manufacture Axminster, Wilton and Tufted products for commercial specifiers as well as for the domestic market. In the commercial and interior design sector, the company offers stock ranges, innovative bespoke design skills, bespoke services, technical support and project management capabilities.